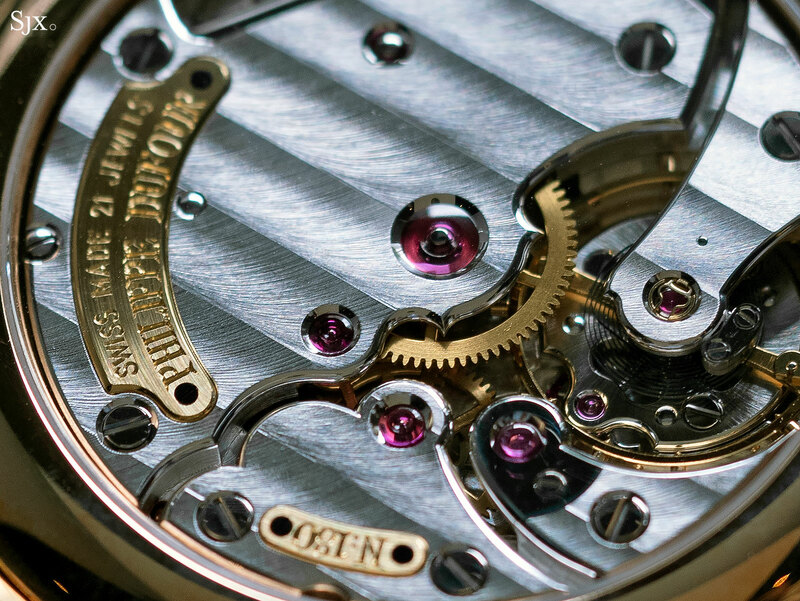 Auctioneers Phillips just opened Well Suited in London, a selling exhibition centred on independent watchmaking. 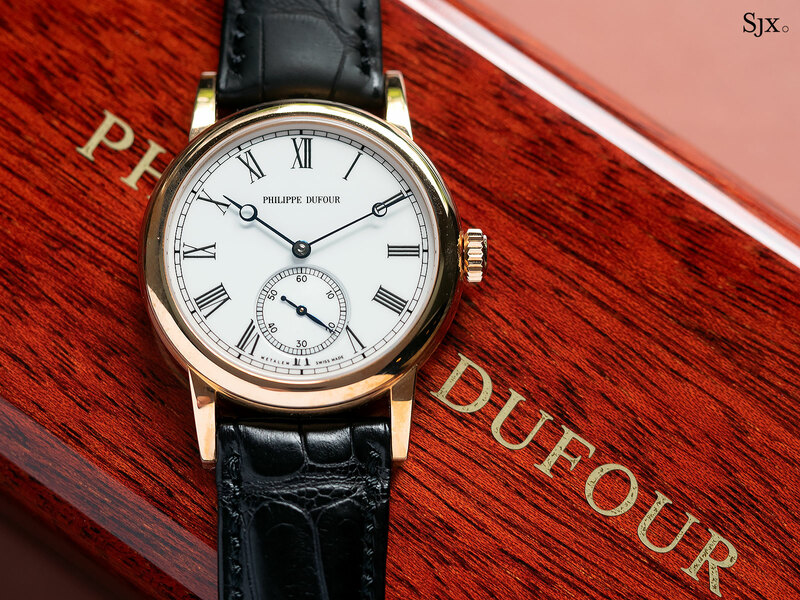 As a matter of course, the event was headlined by a Philippe Dufour Simplicity in 18k rose gold with a white lacquer dial and blued Breguet hands. This particular example was produced towards the end of the original 200-piece run. 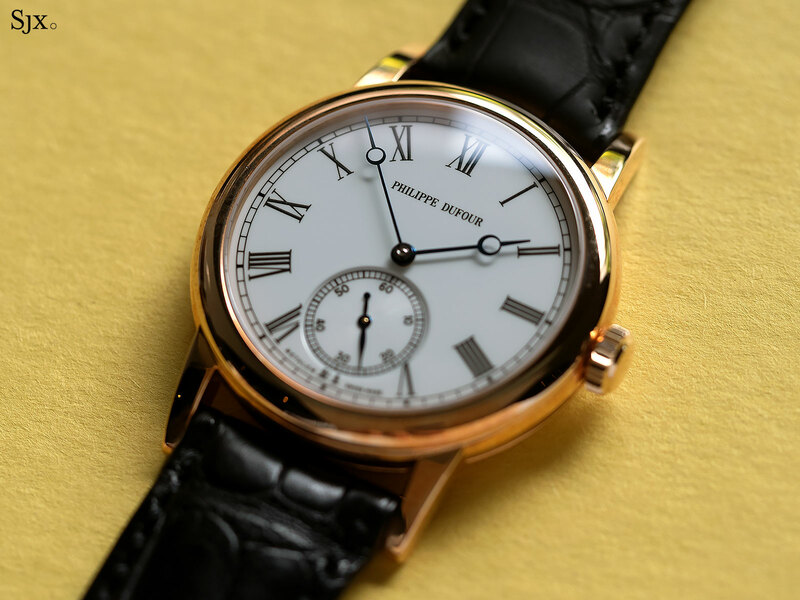 Unsurprisingly, the watch was sold on the first day of the exhibition, to watch industry legend Jean-Claude Biver no less, making this feature a moot point but any Simplicity is lovely enough to be worth a look. Both the engraved plates screwed onto the bridges are solid 18k gold. 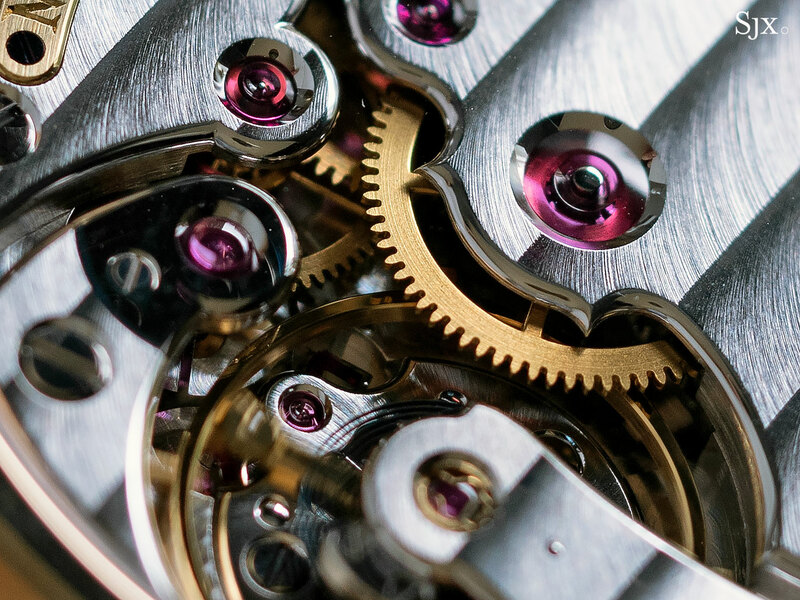 Mr Dufour’s finishing prowess creates an almost luminous magic on the striped surfaces of the bridges, which are rhodium-plated brass. 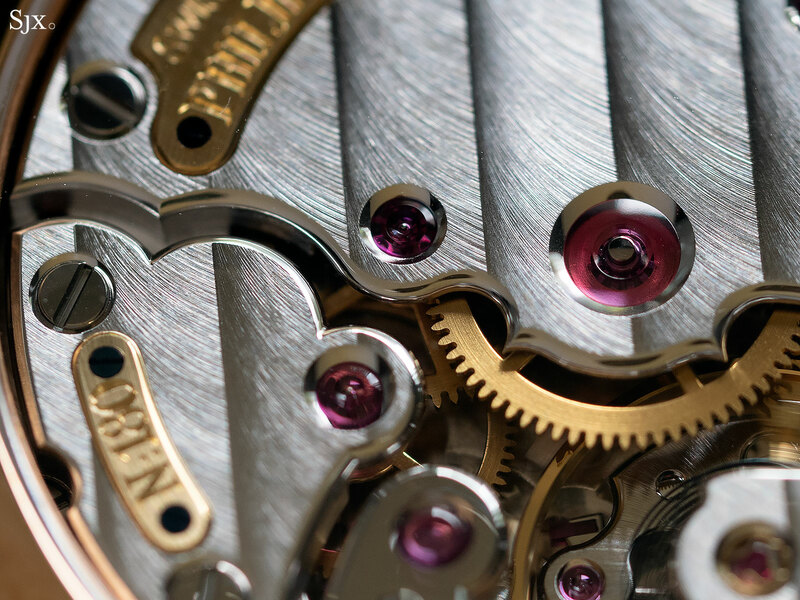 Nearly all of the mirror polished bevels in the movement, including the edges of the bridges and countersinks for jewels, are large enough to clearly reflect the lens of the camera. 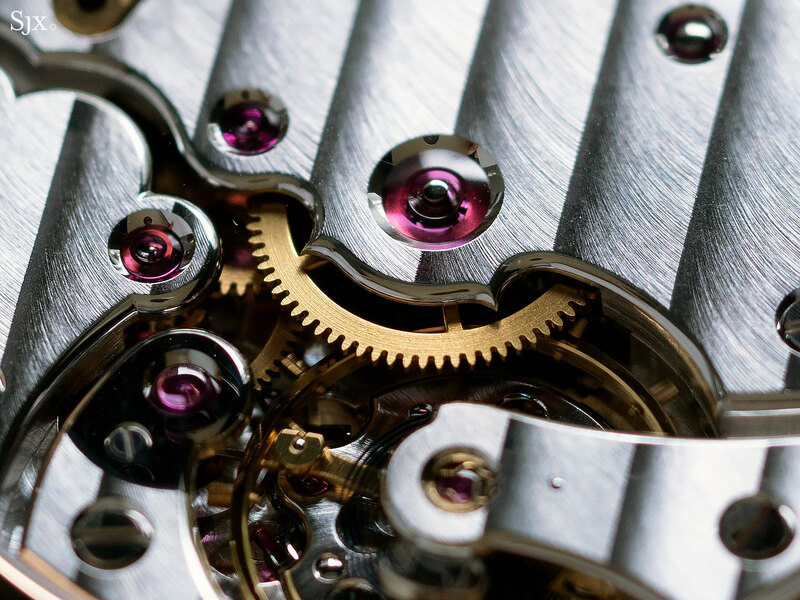 In fact, a reflection is even slightly visible in the small countersink for the pallet fork jewel. 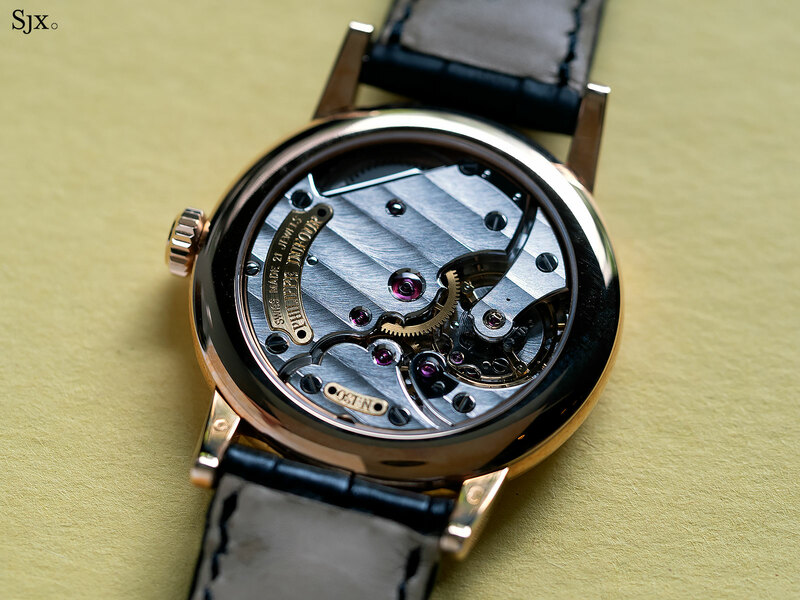 While the architecture of the Simplicity movement was inspired by classical 1950s calibres produced in the Vallee de Joux, notably the Valjoux VZSS, Mr Dufour added several touches that set the Simplicity apart from everything before and after. 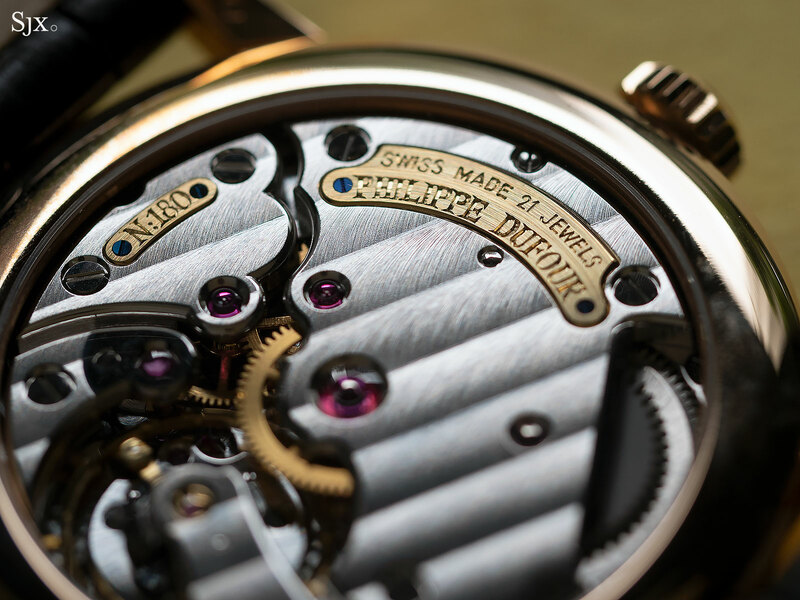 Here the movement is transformed into a canvas to show off manual skill, most notably with the twin sharp points that sit on either side of the centre wheel jewel on the barrel bridge. Also worth a look is the neat border between the polished, bevelled edges and the Cotes de Geneve on the bridges. Other highlights at the selling exhibition include several F.P. 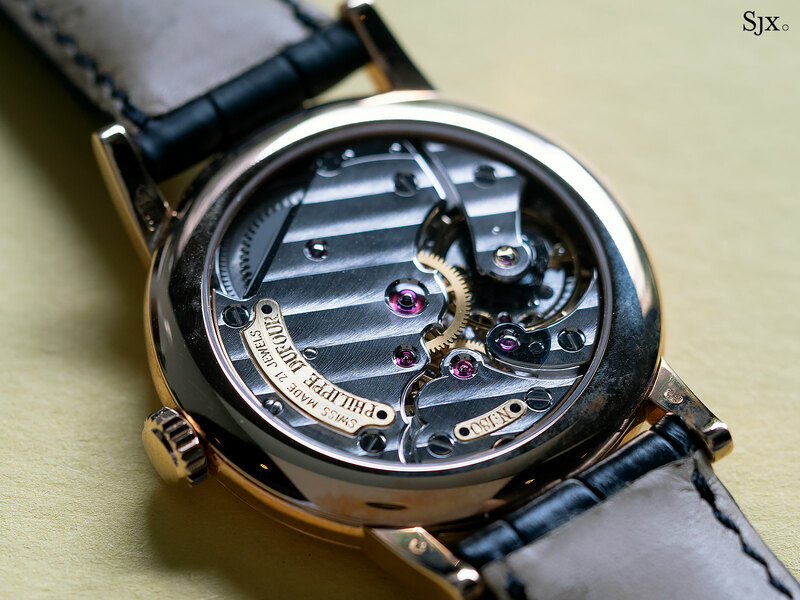 Journe watches, including a steel Chronometre Souverain and Octa Perpetual Black Label; Ludovic Ballouard Upside Down subscription; Vianney Halter Classic; and a Grand Seiko Spring Drive 8 Days. Well Suited is open from now till March 21, at Phillips in London. It is open daily to the public.